We had flown into duck country early in the afternoon with plenty of time to get camp in shape before the evening hunt. Once all was in order, we sat out front of the cabin in camp chairs, two Labrador retrievers laying between us, waiting a bit before we headed out to a favorite pond for the evening flight. A narrow tidal slough was in front of us, a favorite flyway for green-wing teal, so I had my 28 gauge laying across my lap, hoping for a chance to bag supper early. "Teal," Christine hollered. Looking up, I saw a small flock of maybe 15 birds screaming down the slough. Picking out the lead bird I swung the 28 past it and pressed the trigger on the load of 5/8 ounce of No. 7 steel shot. Seven teal dropped into the slough. I turned to Christine who was looking back with open mouth astonishment. The Labs weren't impressed but they were awful happy to have gainful employment once again. The take-away could be that not only is the 28 gauge a great duck gun, but that steel shot is better than double-forked lightning. Neither would be true, more like a weird circumstance never to be duplicated. But it does provide a place to start a discussion on the lead shot ban forced on waterfowl hunters in 1992, what it has accomplished and how that's going to mold the future for hunters. According to the U.S. Fish and Wildlife Service, the lead shot ban has resulted in saving as many as 1.5 million waterfowl a year. Obviously, this is not an exact science, given the nature of dead creatures in the wild being quickly consumed and therefore unavailable for examination. But scrutiny of these studies revealed that some creatures consuming waterfowl containing lead led to collateral deaths. Most prevalent were birds of prey, particularly bald eagles. It is interesting to note that mammal scavengers seem somewhat immune to the lead ingestion. When the lead poisoning issue came to the surface, it seemed that humans would also be affected by consuming animals killed with lead projectiles. In spite of numerous studies to prove the concept, there have been no documented cases of humans adversely affected. Of course, we know that lead does have an adverse affect when humans have significant amounts in their systems — but, it seems, not from the minuscule amount of exposure to wild game taken with lead projectiles. This seems to mirror an absence of issues with other mammal predators-scavengers such as coyotes, mink, weasels, fox, and wolves. Waterfowl hunters can tell you that wounded or otherwise unrecovered ducks — particularly puddle ducks that live in marshes and grassland cover — are consumed largely by mink, weasels or ermine. There seems no evidence that these animals were adversely affected in any significant way when we were still using lead shot. Birds, it seems, are most seriously affected by lead ingestion. The successful salvation of the California condor includes volunteer efforts of many hunters who chose not to use lead projectiles in areas where condors made their living. 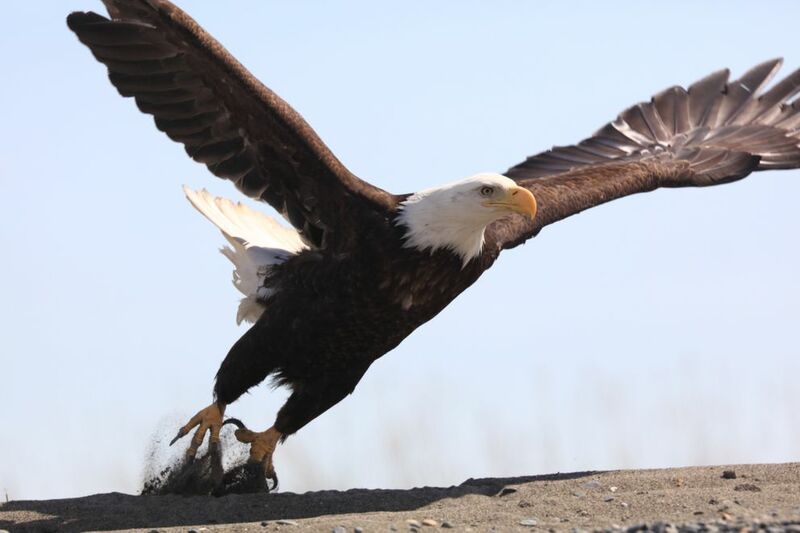 We now know that scavenger birds such as bald eagles are succumbing to lead poisoning via ingestion after they consumer animal carcasses shot with lead projectiles. We also know that birds that consume grit for digestion in areas where lead shot is a part of the landscape are being poisoned. Fishermen are taking a hit on this as well. Birds that feed at the bottom of ponds and lakes are ingesting lead sinkers lost by anglers. I can hear the voices of some hunters. "So what, it's minor collateral damage. What about all those eagles killed on wind farms, or birds sucked into jet engines?" Well, that's true enough, but it's an apples-oranges comparison. We have the option of choosing a better way; jet engines and windmills, not so much. There was a time when I would have been right there with you. But it's a different world now. Hunters love to point out their conservation efforts. They take pride in all of the money they contribute toward wildlife conservation. They profess a deep love for nature's wild creatures and believe that as the apex predator on the planet we must respect and care for all of nature to assure an ongoing relationship with it far into the future. I believe that most hunters believe that and are willing to sacrifice to be good stewards. Ammunition manufacturers have been working overtime developing non-toxic options for hunters; after all, demand drives innovation. Our current run-of-the-mill steel shot loads are as effective in reasonable ranges as their lead predecessors except for those who choose to shoot small gauges like the 28 and .410. For those, there are now bismuth and tungsten options that virtually mirror the performance of lead. 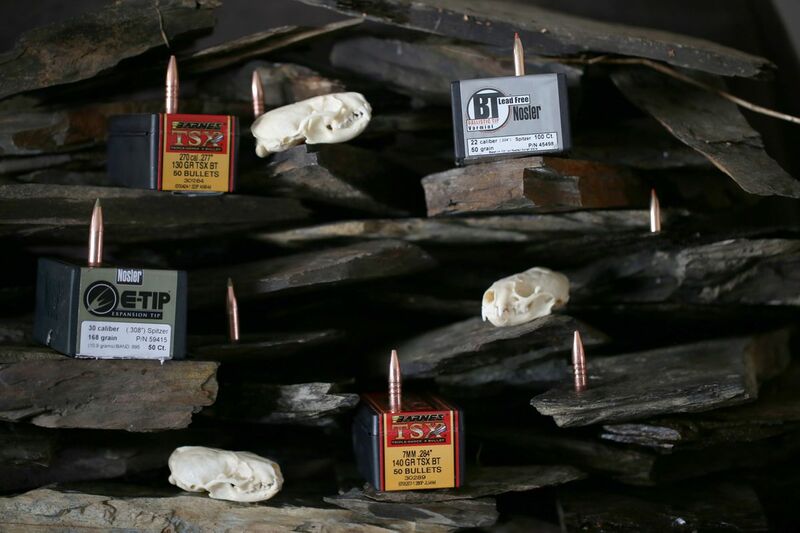 Non-toxic rifle ammunition is now readily available for most common calibers with new options announced regularly. Hand loaders have a variety of options for shotgun and rifles. The only missing piece of the pie is for the .22 rimfire, but I doubt we are far away from that. Just before the end of the Obama administration, the director of Fish and Wildlife ordered non-toxic projectile use for hunting on all National Wildlife Refuge lands by 2022. Many viewed this as a subversive move toward restricting firearms rights — not an unreasonable assumption given the attention provided by a detached media that seems incapable of understanding the desire for self protection by most people in this country. I did not see it that way. The National Forest Service and the Bureau of Land Management could have given the same order but did not. Rather, it was no surprise given the environmental bent of the Obama administration and the general flavor of environmentalism displayed in recent years by Fish and Wildlife. The only thing that crossed my mind when the order was issued was — I hope .22 rimfire ammunition becomes available soon so kids entering the hunting arena via grouse and rabbit hunting can participate on National Wildlife Refuge property with their .22s. When incoming Secretary of the Interior Ryan Zinc rescinded the action, many hunters saw it as a victory. It seems more like an opportunity. Hunters have the option to once again take the lead in bettering the relationship between humans and nature as the planet becomes a less hospitable place for the wildlife we say we love. An opportunity to say, wait a minute, how about we just fix this across the board and stop contributing to the unintended death of wildlife. The chukar partridge tipped the scale for me. In looking for relevant information on the non-toxic issue, I found that these birds, who live their life in rugged mountain country, had been victims of lead poisoning from lead shot. When I told Christine, she was quick to make the connection that suggested we may be inadvertently contributing to the death of some of our beloved whitetail ptarmigan with our introduction of lead shot to their environment. Taking them for supper was one thing, causing them the indignity of a malingering death by lead poisoning is another. So we asked ourselves, are we willing to be a part of the unintended death of wildlife of any sort when we have options that eliminate that possibility? The answer is no.